This program will be delivered through the department’s Agriculture Division and includes a range of crops (e.g. pastures, sorghum, maize, rice, quinoa, and soybeans), grown in rotation with a range of agronomic inputs to develop a farming system for the Top End. The Katherine Research Station will include GM cotton in their 2018-2019 wet and dry season trials, with future research and demonstration extending to the Department of Primary Industry and Resources' (DPIR) Douglas Daly Research Farm and working with commercial properties as the industry grows. The decision to recommence a program of GM cotton research and demonstration in the Katherine Region was based on feedback from investment interests, pastoralists and the cotton industry. Modern GM cotton varieties and refined agronomic methods have reduced chemical use by 89% and crop water use by 40% in the last 10-15 years. 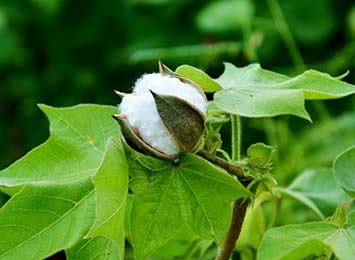 Currently, 98% of cotton grown in Australia and 81% grown throughout the world, is genetically modified. DPIR is committed to implementing a research, demonstration and extension program aimed at developing the Territory’s agricultural industries through diversified mixed cropping systems.